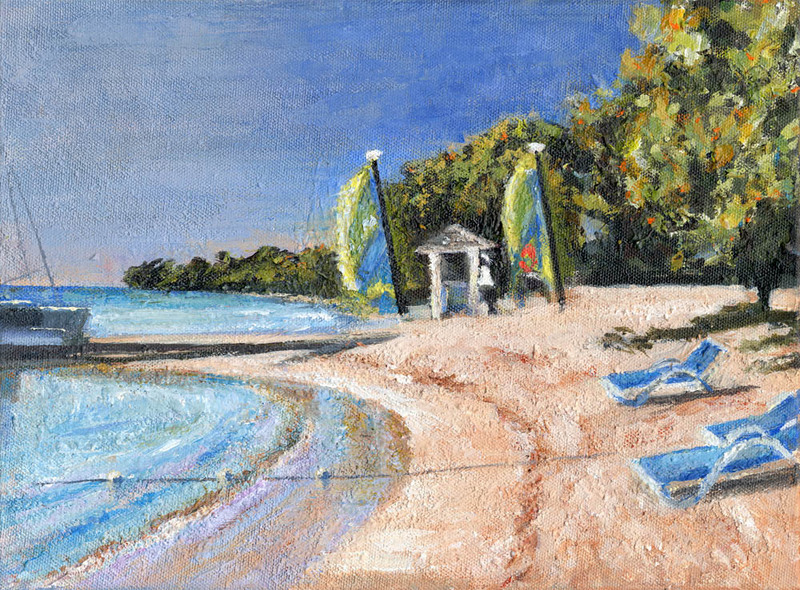 Due to my love of the Caribbean, I have been a repeat visitor on the island twenty times, and a guest of the Hedonism II resort in Negril on thirteen occasions. 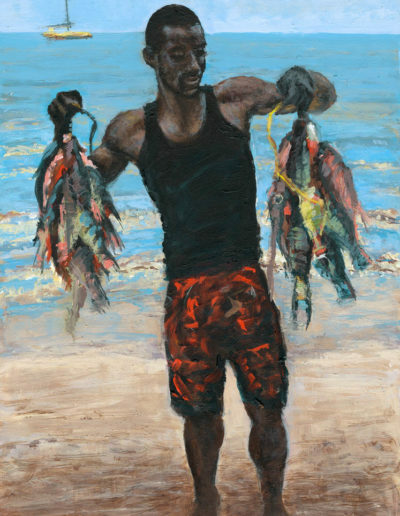 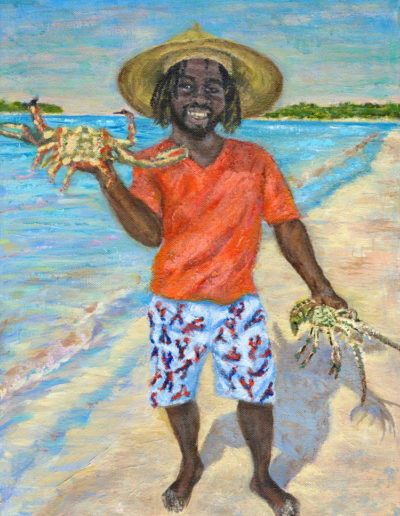 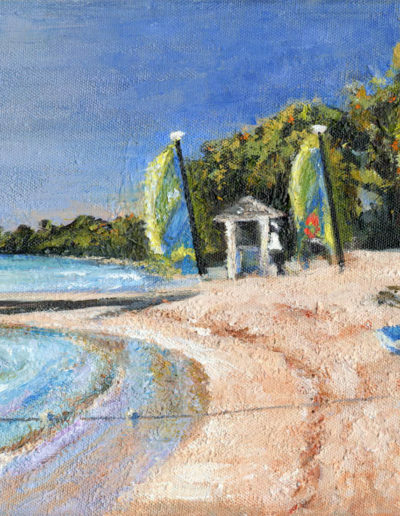 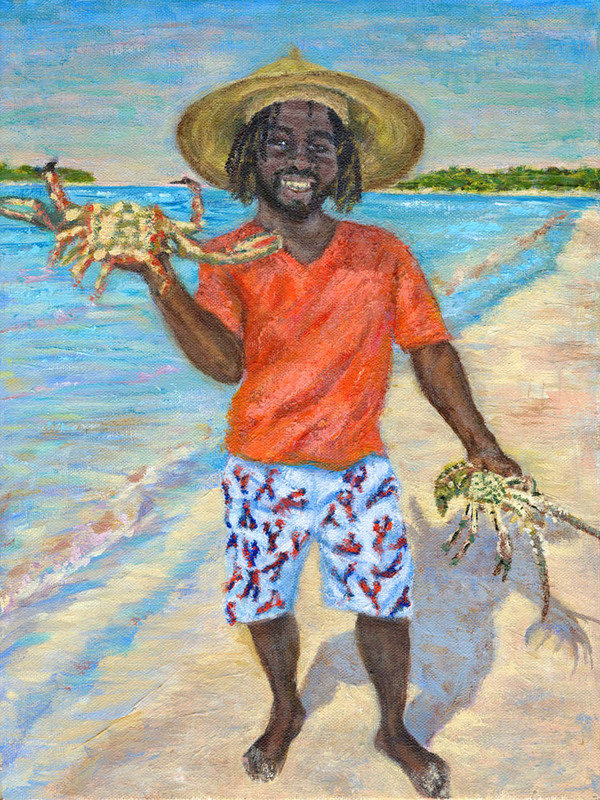 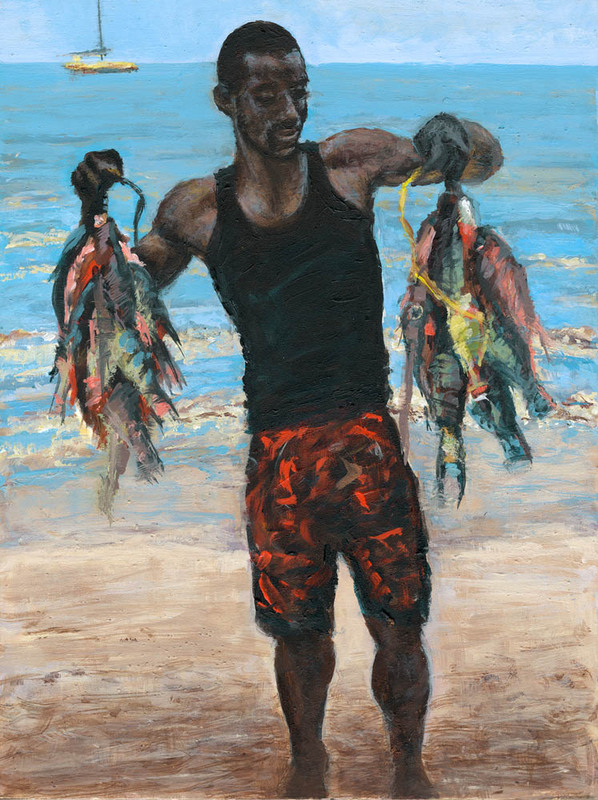 This Caribbean paradise is an artist’s dream with it’s jewel-toned waters, fiery sunsets and Jamaican people with their sunny dispositions, all of which I have captured on canvas. 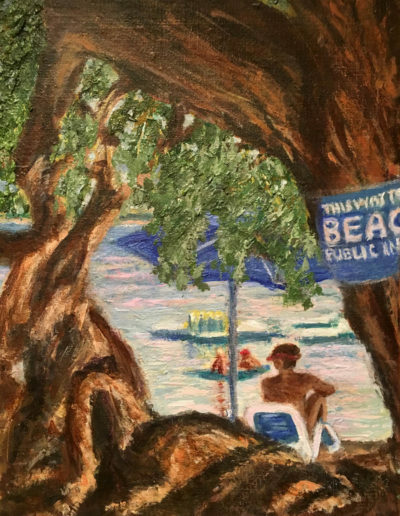 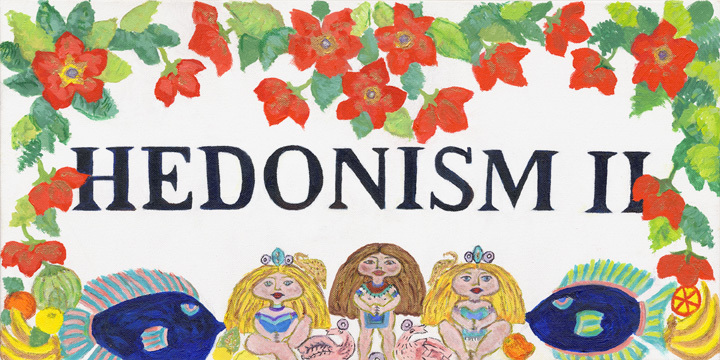 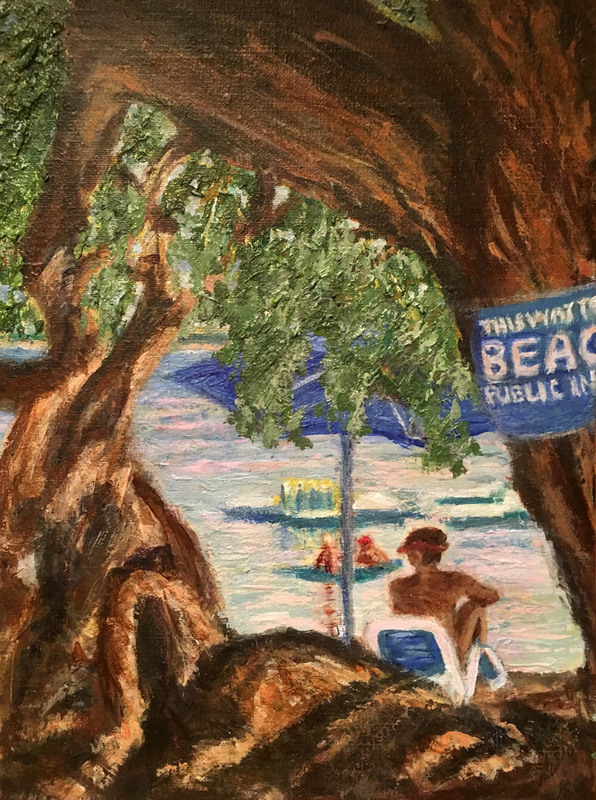 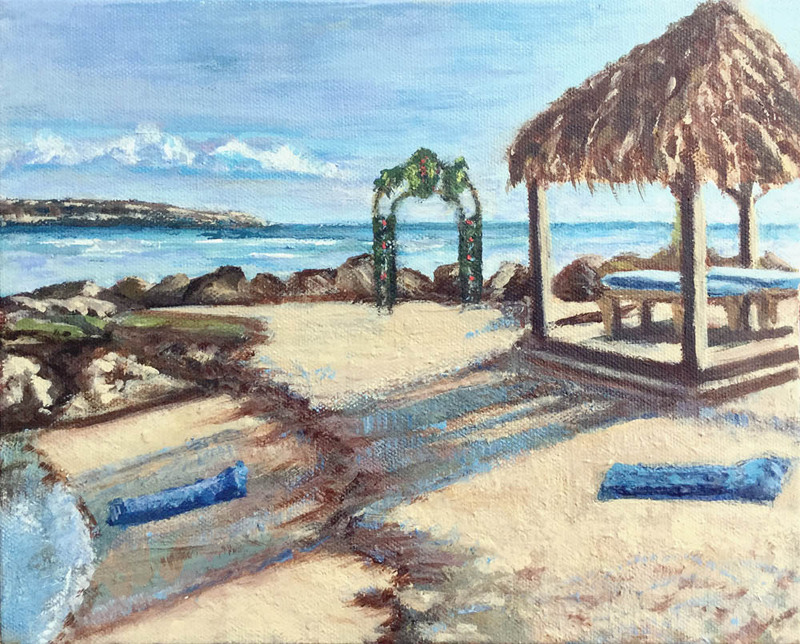 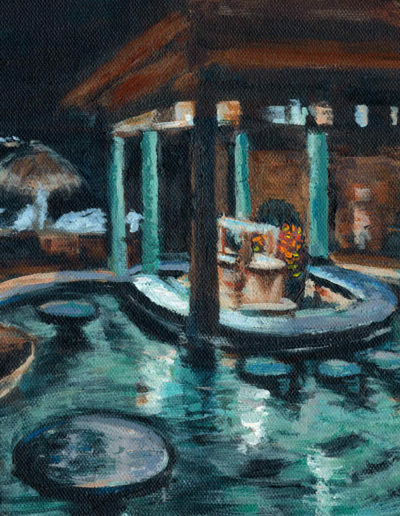 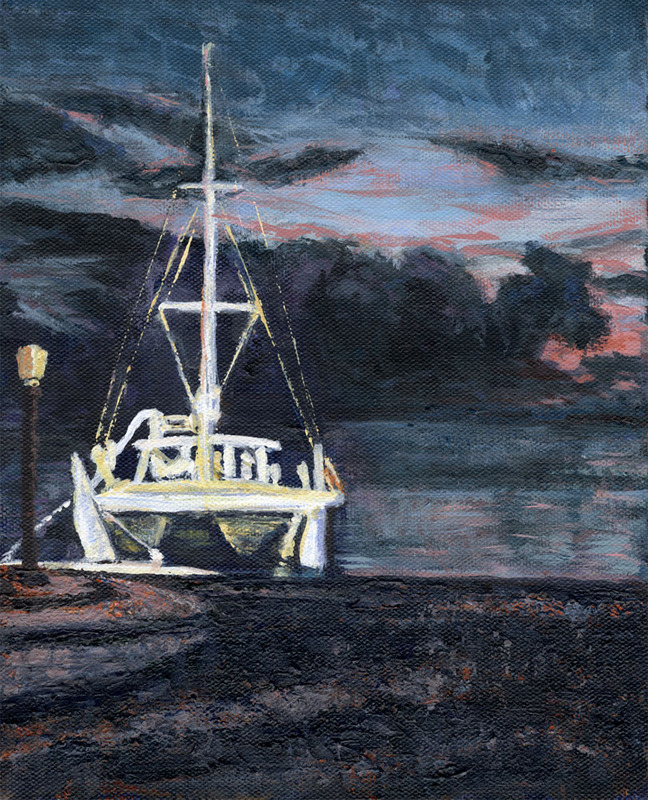 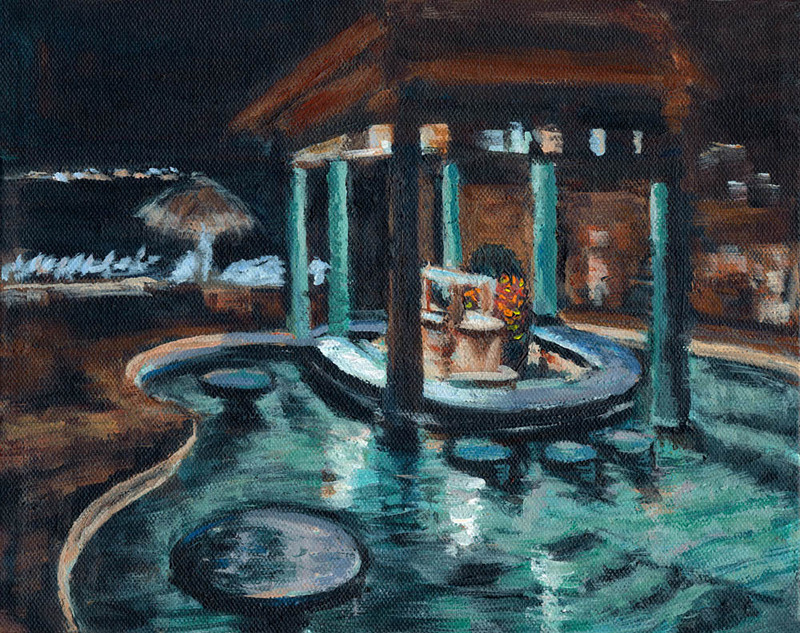 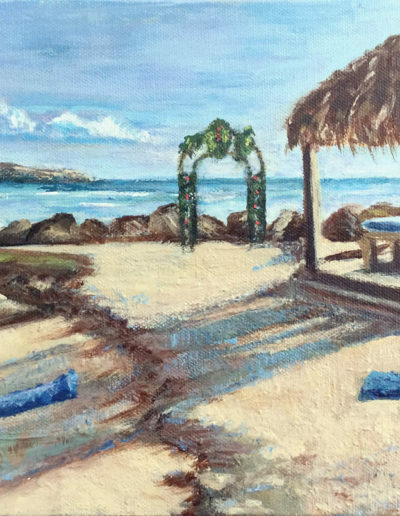 I have also painted various scenes from the Hedonism II resort, which are special to many of the repeat guests. 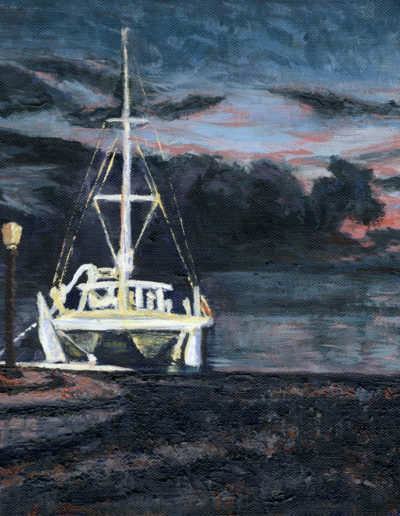 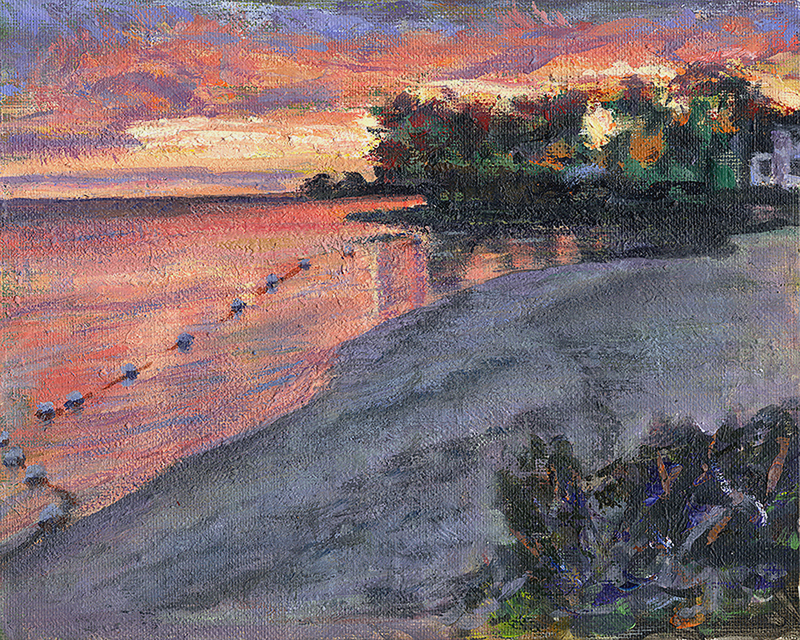 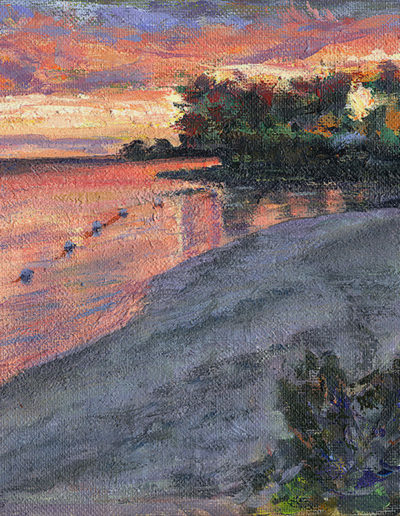 The acrylic medium that I work in evokes a rich, vibrant patina that is well-suited for these landscapes and resort scenes.